Your restaurant opening checklist is your ultimate go-to when you’re thinking about starting a new restaurant. After you’ve determined your concept and you’re ready to get moving on opening a restaurant, you’re going to want a checklist template to help guide you through the process – and make sure you don’t forget anything. If you want to play around with your own restaurant startup checklist, download the editable Excel file of the Restaurant Opening Master Checklist here. 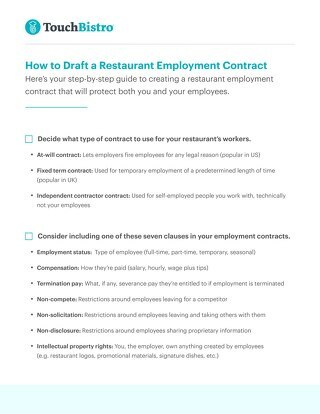 Here’s an overview of what you can expect to cover in your free restaurant opening checklist. Before you even “break ground”, you’ll need to make sure you’re covered in some key areas. First you’ll need an insurance evaluation and make sure your building is up to code. You’ll also need to check cables and wiring, hook up your gas, telephone, water, and electric services. This pre-opening checklist will help you cover all your bases before you start construction. Yes – you want to be thinking about marketing now, before you open your restaurant. 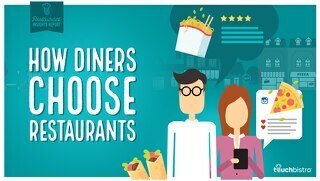 A healthy marketing strategy is a part of every good restaurant startup checklist. You’ll want to make sure you’re covered for signage and banners, digital and promotional marketing, and an advertising timetable. This is the portion of your restaurant opening checklist that covers the guts of how your restaurant is going to function once it’s open. 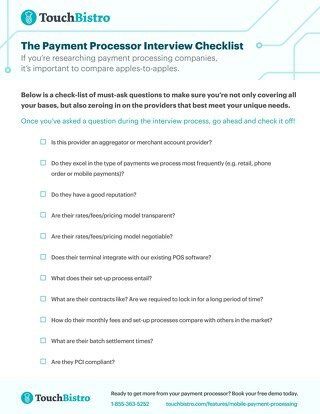 This list includes everything from choosing your vendors to your POS system to your landscaping. 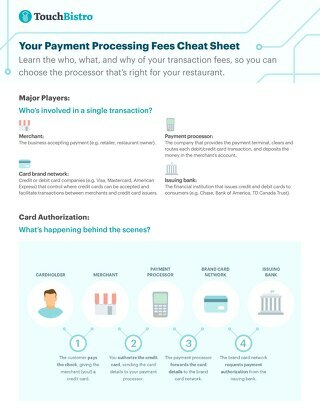 Consider this part of the checklist your determining your “restaurant operating system”. 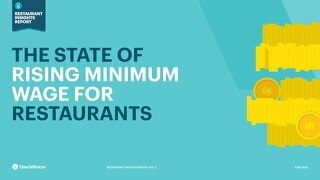 How many staff members will you need for each area of your restaurant? You’re going to need to place employment ads and schedule recruiting missions to find the right people, and you’ll need to know more about hiring procedures so you get things right the first time. This is a crucial part of your pre-opening restaurant checklist, so you can prevent staff turnover in the future. Once you hire your staff, how will you train them for what they were hired to do? You’ll need to be prepared with a training strategy to get off on the right foot. 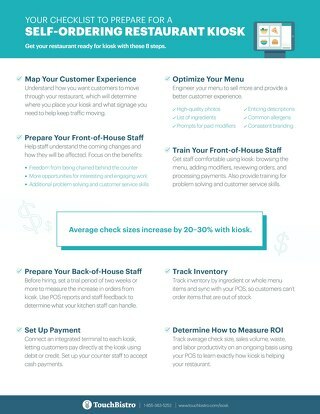 This checklist leaves no stone unturned in preparing you for POS training, documentation, kitchen guides, training manuals, etc. Do you know what a new hire kit should look like? How will you communicate with your employees? 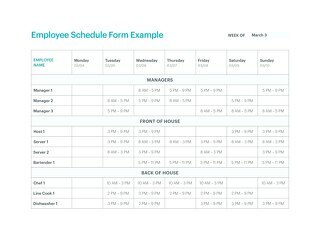 These questions are all covered in your restaurant opening checklist so you know how to draft a staff schedule and give access to the necessary operations manuals for equipment. Now comes the fun part of the checklist – menu creation! This checklist will make sure you cover all your menu bases, such as creating a kids’ menu, a brunch menu, catering, etc. (depending on your needs). You need equipment … so much equipment. We don’t even know how new restaurant owners can live without a checklist for all the equipment they need. 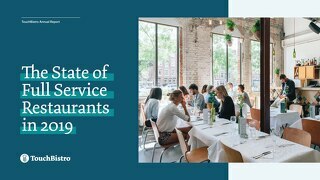 See this restaurant checklist for everything you need to rent, lease, or buy for your new business, including, hand wash stations, utensils, tables, chairs, mats, floor coverings … and so, so much more. If your restaurant has a bar, it needs its own checklist to make sure you’re ready to serve alcohol come opening day. You’ll need to choose your beer, wine, and liquor, but you’ll also need to purchase a soda system, choose a linen service, and more. 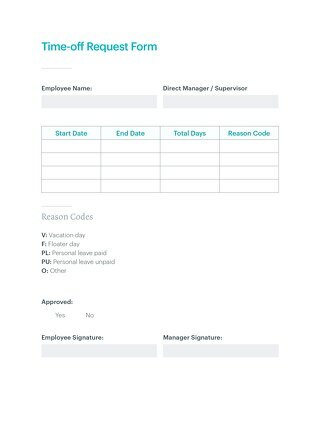 Finally, what will you need as a restaurant owner for your office? 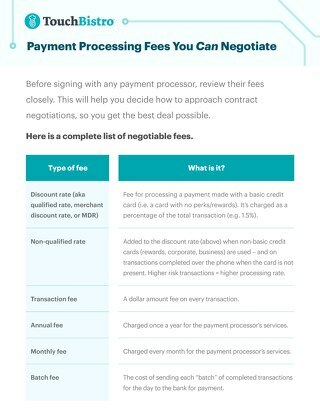 You’ll probably want a computer with all the software you need to run a business, including scheduling, accounting, etc. 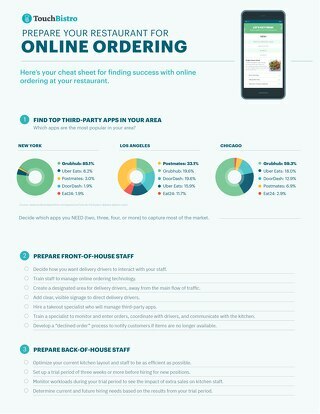 The last steps of your restaurant opening checklist: ordering your supplies. Here we cover the basics of what you need to order before you open, so you’re ready to go as soon as your customers step inside the building. We’re so happy you’ve gotten to this point in your restaurant opening journey – good luck with your new business!